Want to lose weight? Have more fun? Get more creative? Improve body and mind? Achieve it all by taking up gardening this year. Gardening is the multi-tasker of all New Year’s Resolutions. It enables you to exercise, lose weight, tone up, create something beautiful, lower blood pressure and lift spirits, all at once. And ‘gardening’ can cover many activities, from growing your own vegetables and flowers to building a pond or treehouse. For a list of 24 online gardening courses to give you inspiration, go to the MyGardenSchool website. All MyGardenSchool courses begin on the first Saturday of every month. The next raft of courses begin on Saturday 7th January, so don’t delay, book today! Gardening is the perfect way for you to achieve your recommended 30 minutes of exercise per day, and according to the University of Virginia, gardening rates favourably alongside other moderate to strenuous forms of exercise, like walking and bicycling. 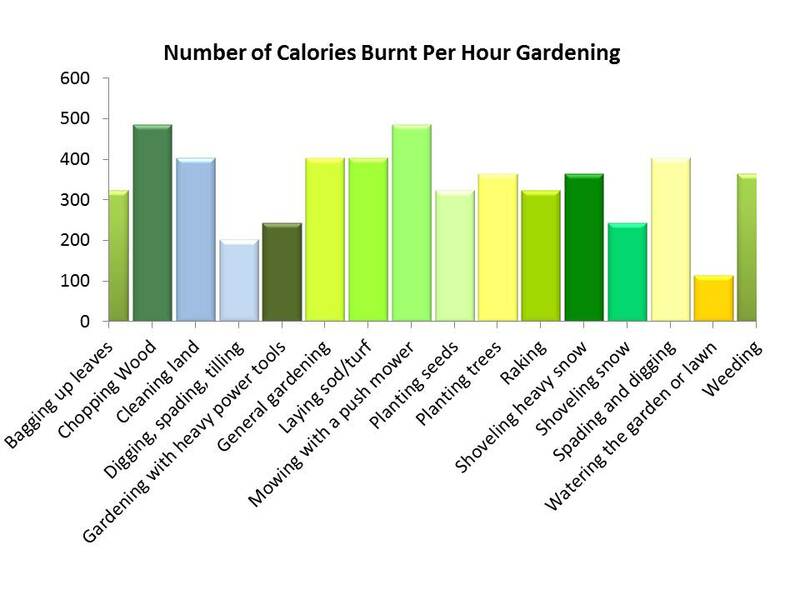 Gardening works all the major muscle groups: legs, buttocks, arms, shoulders, neck, back and abdomen. There can be a great deal of stretching involved with gardening, like reaching for weeds or tall branches, bending to plant and extending a rake. Lifting bags of mulch, pushing wheelbarrows and shovelling all provide resistance training similar to weight lifting, but there is minimal jarring and stress on the body, unlike aerobics or jogging. This, together with regularity and diversity of movements means that gardening can burn calories, tone your body and build strength, while improving the health of bones and joints. The benefits of being physically active, in terms of reduced risk of developing major chronic diseases, such as coronary heart disease, strokes and type two diabetes, are also well documented. Even just looking at a garden can give you a positive boost. The evidence is so compelling that there is now even a term for it – horticultural therapy – and it is being used in a variety of ways. For example, major cities such as Chicago are using gardening or horticultural therapists to help plan parks and botanical gardens, and to treat hospital patients, who are invited to join in the weeding, pruning, cultivating and harvesting. Other world cities, such as New York, are using it to calm prisoners and prepare them for their release. Dr Roger Ulrich, a leading researcher on the effects of environment on behaviour from Texas A&M University, said: “If researchers had proposed 20 years ago that gardens and gardening could improve medical outcomes they would have been met with derision and scepticism. If you’re not sure where to start, or simply want to hone your horticultural skills, we’d love to see you in the classrooms at MyGardenSchool where you’ll learn about gardening and horticulture with other like-minded people from all over the world. All of our tutors are outstanding in their field (and gardens), being accomplished gardeners and acclaimed gardening writers. For example, we have multi-gold medal winner at RHS Chelsea Flower Show, Andy McIndoe with courses in bulbs, shrubs and trees; Stephanie Donaldson, author and Gardens Editor of Country Living magazine with a course on organic gardening; leading garden designer and author, Hilary Thomas with a courses in planting design; photographer and author Sue Bishop with a course on flower photography; and John Brookes, prolific author who is often described as the world's most influential garden designer, with a course on garden and landscape design. But that’s not all. Take a look at our online gardening course pages to see our other tutors. All MyGardenSchool courses cost £120, last four weeks and begin on the first Saturday of every month. The beauty of the course being online is that students learn at their own pace, and in the comfort of their own home. Each course includes step by step video tutorials, downloadable course notes, and the facility to chat with tutors and fellow classmates online, in a ‘virtual classroom’. The classroom may be ‘virtual’ but the camaraderie is real, and the technology is very intuitive and easy to use. MyGardenSchool Ltd is a unique global online horticultural classroom. Whether you want to grow organic veg, create enviable flower borders, nurture that perfect lawn, or simply give a good home to an egg laying chicken – MyGardenSchool offers a high quality range of gardening courses taught by some of the world’s top tutors and delivered right to your green fingertips. For more information, please go to www.my-garden-school.com. This press release was distributed by ResponseSource Press Release Wire on behalf of MyGardenSchool in the following categories: Men's Interest, Health, Leisure & Hobbies, Home & Garden, Women's Interest & Beauty, Environment & Nature, Construction & Property, for more information visit https://pressreleasewire.responsesource.com/about. MyGardenSchool is the online gardening school where students can get personal contact from world experts on garden design and horticulture. All of our tutors are accomplished horticulturists, designers and acclaimed gardening writers.